Recycle your jars and broken colorful glass to make this great stained glass candle holder. About Family Crafts shares how to make this candle holder. You could use this same technique for a variety of patterns on jars. 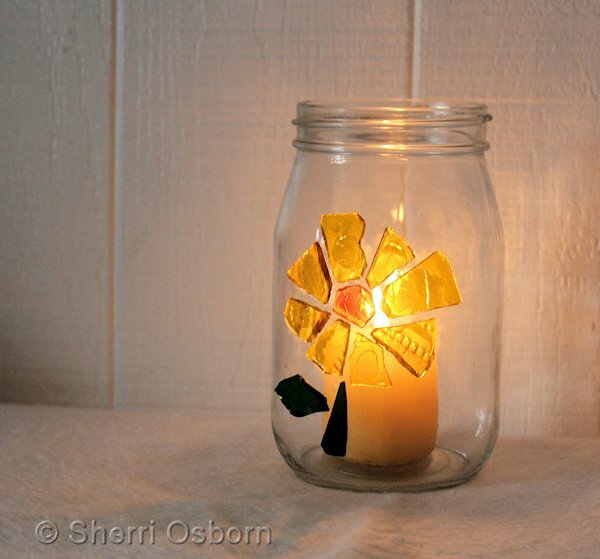 Make your own stained glass candle holder today. Be sure to click over to the original source to pin this great recycled jar craft.